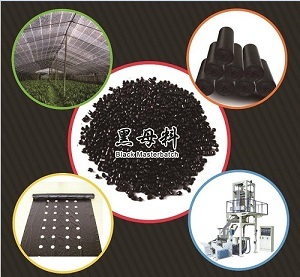 This product can be directly mixed with PP or PE at the dose of resin, color black, good durability, the use of carbon black are used imported high carbon black pigment, can be used for plastic, film blowing, injection molding, round wire, foam and other technology, has good dispersion property. Features: Based on low density polyethylene (LLDPE) as the matrix material, imported carbon black, is a series of high colored masterbatch. Application: Ultra-thin film and high quality printing film with jet black and high gloss. Such as: plastic sheeting, plastic etc.